Plastics packaging suppliers normally price their products based on several inputs, which include: raw materials costs, production costs—especially throughput rates for their production equipment—suppliers’ target gross profit margins by individual product or end-use market, and market prices communicated to them by their customers or gathered elsewhere. Plastics packaging buyers that do not purchase plastic resins or plastics additives directly and who are not familiar with typical production costs for various types of plastics packaging production equipment often find themselves at a disadvantage when trying to secure the lowest cost plastics packaging products. Mathelin Bay can help you by deconstructing your plastics packaging suppliers’ costs in ways that allow your organization to buy using fact-based estimates of suppliers’ current costs. In addition, since the plastics resin cost component of almost all plastics packaging moves at least several times per year, you can also have access to customized and easy to use plastics packaging cost models that can be periodically updated. Mathelin Bay can help support or guide your plastics packaging negotiations process however it best fits your company’s culture—we can handle negotiations directly on your company’s behalf, sit next to your plastics packaging supply chain team during negotiations, or work completely behind the scenes with your people. From an education perspective, one of the most important plastics packaging negotiations decisions that can be made is a commitment to fully understand the advantages and disadvantages of using various plastics resin market price indexes to change the price of your plastics packaging items. There is a tendency for plastics packaging suppliers to offer to price their products against a particular plastics resin price index on the basis of one hundred percent of their packaging being made of virgin plastics resins and the assumption that their prices always move one hundred percent of the time in lockstep with the market price indexes—but that is rarely the case and rarely to the benefit of the plastics packaging buyer. Just because one of your plastics packaging suppliers is making the products you buy from them using one particular production technology, injection molding for example, doesn’t mean that technology is the correct one for your products at various points in the product life cycle. While injection molding normally is best suited for high volume production and for many parts that require highly defined shapes and contours, tooling costs for injection molding can be prohibitive, especially if your product is made in small volume and if there will be frequent packaging design changes. As an alternative to injection molding, thermoformed parts can be especially suited for smaller volume heavy gauge rigid packaging, for larger size rigid packaging items and for quickly and cost effectively making rigid packaging requiring frequent design changes. But thermoforming can also be cost effective for high volume products, often thinner gauge, that are formed in-line from plastic rollstock that may also be extruded in-house. 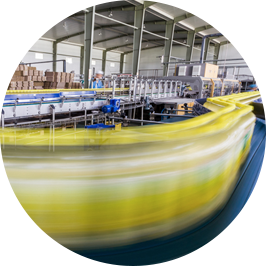 As part of the process of reviewing alternative production technologies at your packaging suppliers, your company can also gain a greater understanding of their relative production cost positions, including degrees of vertical integration, that can be invaluable in selecting low cost suppliers and in negotiating contracts for plastics packaging. Unlike plastics resin production plants, which can cost hundreds of millions of dollars or more and at least several years to bring from the drawing board to initial production, almost all production technologies for producing plastics packaging are much less expensive and require much less time to install and to ramp up to full production. Though backward integration into producing your own plastics packaging is not for everyone, the exercise of reviewing the possibility can still be valuable as a way of better understanding your packaging suppliers’ cost structures. Another area that can benefit buyers of plastics packaging is the option of purchasing plastics resins directly and having your products produced on a tolling basis at one or more of your plastics packaging suppliers. This option can be especially valuable for buyers that may be buying extremely large quantities of plastics packaging that are made with very large underlying volumes of plastic resins that may currently be divided among multiple plastics packaging suppliers and which could be consolidated to get more plastics resin purchasing leverage than some of your current plastics packaging suppliers might otherwise have on their own.